The Disneyland Rope Drop is a #1 pick for any visitor's bucket list. It's surprising how many people - including long-time Disneyland fans - haven't heard of it. Now you know about it, too. Here's how it works: On selected days (which are not announced in advance), Disneyland Cast Members let visitors enter through the Disneyland gates 30 minutes before the official opening time. It starts with a shout: "Let the magic begin!" Then the gates open. You can walk on Main Street U.S.A. to shop, get a coffee or something to eat. Until opening time, you can only go as far as the "hub" in front of the castle (where the statue of Walt and Mickey is). To keep guests from going further than that until opening time, Cast Members hold ropes across all the walkways leading into the park from the hub. You just got it, didn't you? Now you know why it's called a "rope" drop. When the official opening time arrives, the ropes go down, and guests pour in. Just before that, you'll hear music and a recorded welcome announcement. This simple little thing is enough to bring a tear to the driest of eyes, and it's hard to resist the excitement as you rush in. There is no published information about how they decide which days are Rope Drop days. However, it isn't likely to happen on days when early entry is offered. That being said, the only way to find out is to be at the gates a half hour or more before the scheduled opening time. Everyone knows about the character greetings at Disneyland, but most people fail to take full advantage of the experience. Put a little bit more into the encounter, and you'll get a lot more out of it. Do you want a photo of yourself kissing Donald Duck? All you have to do is ask. Do something interesting with the character, and you will probably get to spend more time with them. For the human inside the costume, it provides a break from the typical visitor interaction. Ask Donald Duck how old he is. Give the character something unusual to autograph. Bring a rose to a princess. Be creative. Spend a few minutes before you meet your character thinking up questions or things to do with them, and you'll come home with the memories of a lifetime. Get more tips for character greetings in this guide. Of course, I can celebrate my birthday at Disneyland, you're thinking. All I have to do is buy a ticket and go. What's the big deal about that? Nothing, unless you know these tips for celebrating your birthday at Disneyland. 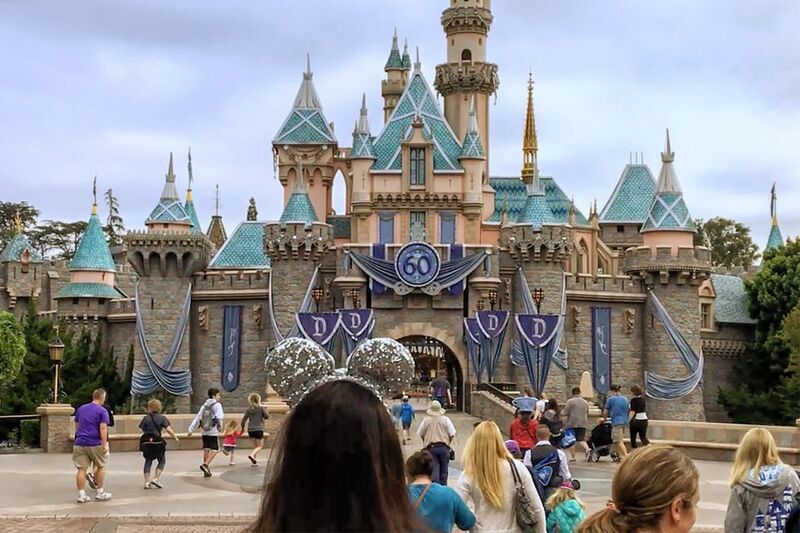 You can do more to celebrate your birthday at Disneyland than just showing up. The best and easiest thing to do is to get a free birthday button at City Hall (or Chamber of Commerce in California Adventure). It's a fun keepsake. No one will ask you for proof of your birth date so you can get that birthday button any time. Just try not to look confused when someone says Happy Birthday, and you're celebrating a January birthday in July. Even more fun than getting the button the attention you get. Everyone will wish you a happy day. Sometimes, guests standing in line end up singing to a total stranger wearing a birthday button. How fun is that? A couple of times a year, a group of people visit Disneyland wearing their most stylish, "dapper" and sophisticated clothing. You can join them, choosing a classy vintage or contemporary outfit. All the dates and details are on the Dapper Day website. If you sign up for their newsletter, you can get access to discounted convention rate park tickets. Courtesy of Disneyland Resort. Used by Permission. The party Mickey Mouse throws for his friends every year is the most Disney you can get for the price. It's a private party, with far fewer guests than would typically be in the park (which means shorter lines). At Mickey's Halloween Party, you can go trick-or-treating, watch a seasonal parade and fireworks and enjoy the festive atmosphere. Party guests get in before the park closes for the day and can stay late. And best of all, the ticket price is lower than any other one-day ticket you'll find anywhere. The only catch is that you need to get prepared and buy your tickets early before they sell out. That means choosing your dates in July. People either love or hate this one, but if you're a fan of the Haunted Mansion or if you like Tim Burton's Nightmare Before Christmas, you must check out Haunted Mansion Holiday. From late October through the Christmas holidays, everything in the mansion turns into a live version of the film about Jack Skellington, who gets Halloween and Christmas so terribly mixed up. You'll see Skellington's dog Zero floating happily above his holiday gift: a pile of bones. Oogie Boogie puts in several cameo appearances, and of course, Jack's love Sally is on hand to remind you to "hurry back." If you're a big fan of Walt Disney, if you'd like to go behind the scenes at Disneyland, or if you want to find out more about the man who created Disneyland, the Walk in Walt's Footsteps Tour is for you. For several hours, you'll go around the park checking into Disney's favorite spots. And you'll get a limited edition pin as a memento. To take the tour, you need an admission ticket to the park and a reservation (which you have to pay for separately). ©2009Betsy Malloy Photography. Used by Permission. If you love Disneyland and all things Disney and want to go behind the scenes, you can't beat the Southern California tour from Adventures by Disney. It's a multi-day romp through some of those places you've always dreamed of seeing. The things you'll do include going behind the scenes at Disneyland and California Adventure and visiting Disney Studios and Disney Imagineering, along with other Disney-related stops.